In recent years we have planned and organised exhibitions on a wide range of subjects that can be loaned to other institutions. If you would like more information, just phone us: 02362-45279. 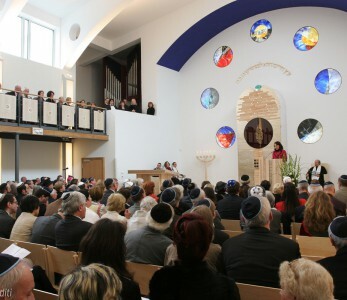 Established Jewish communities, new synagogue buildings in some places, here and there conflicts between old and new members – now and then you hear about the consequences of Jewish immigration. But it’s worth taking a closer look: who are the people behind the changes? 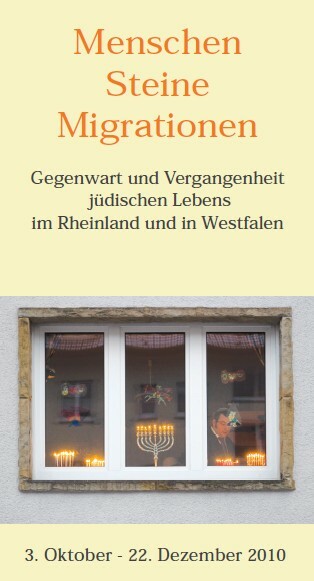 We have looked at the experiences of some immigrants living in the Ruhr area: Where did the Jewish immigrants of the last twenty years come from? Why was it Germany they decided to come to? What sort of experiences did they have where they used to live and since they arrived here? What role do the Jewish communities play for the immigrants, what does being Jewish mean to them, what perspectives do they and their children have? 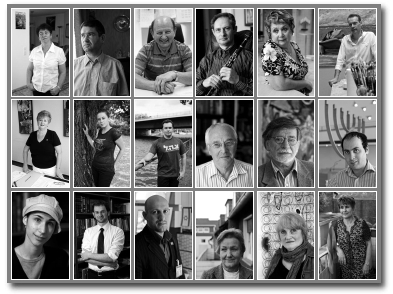 24 men and women speak about themselves. The exhibition focuses on their stories, their personal and very different reasons for coming to Germany and their experiences. This exhibition is not only suitable for museums but also for smaller premises. More information on contents and techniques of the exhibition is available here. This exhibition with regional references to the whole of North Rhine-Westphalia looks at signs and traces of Jewish life and shows the links between present-day subjects of Jewish life, Jewish regional history and issues of historical culture. The approach is retrospective. We see traces of Jewish life in many places – memorial stones and cemeteries – and ask what became of the people, what is our approach to history? The main focus is on the last 110 years. How has Jewish life changed in this time? What influence did the immigration of the 1920s, 1950s and 1990s have? 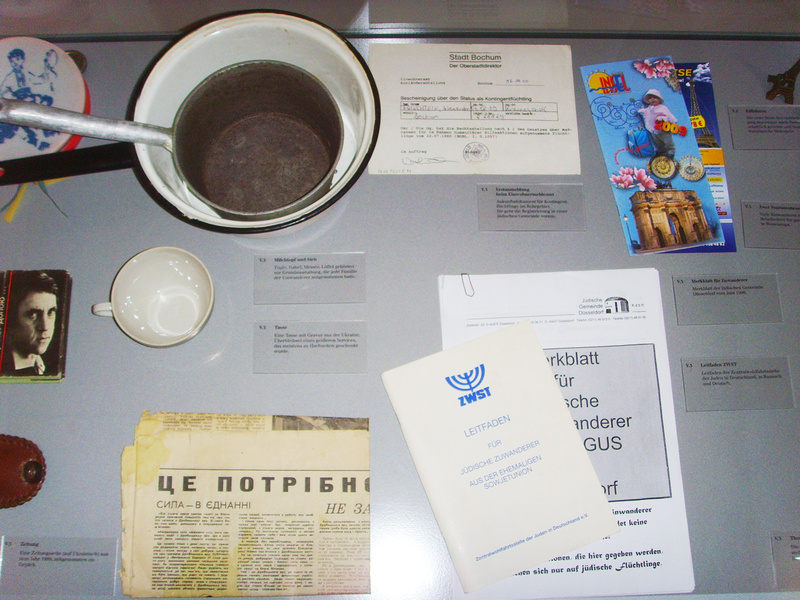 The exhibition also shows cultural associations and sports clubs, Zionist groups etc. 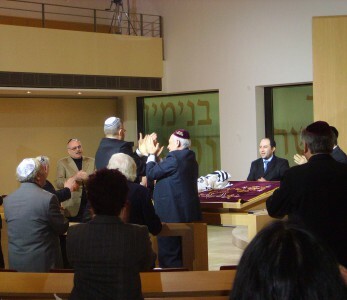 How does Jewish life appear in public life and in the media? In this exhibition the visitor will see an overview of the 1000-year history. The exhibition is primarily designed for schools; they have the opportunity to enhance the exhibition through their own local research. This exhibition focuses on the work and significance of the synagogue from its historical beginnings in ancient Israel to the modern day. It shows the building, important fittings and contents and the offices of the synagogue. A number of examples are used to illustrate the architecture. Apart from the medieval synagogues of Worms and Speyer, the exhibition includes impressive buildings of the 19th and 20th centuries and also simple buildings and country synagogues with, when possible, examples from Westphalia. The exhibition, planned and organised by the historian Thomas Ridder, consists of 30 large-format pictures and text plaques (80 x 120 cm). Apart from didactically prepared texts, the plaques show approx 100 pictures, some in colour. A fee of 260 Euro is charged for the exhibition and it must be insured. It can be transported in a station wagon. There is also a 16-page accompanying booklet in the Museumsforum series: Die Synagoge – Schnittpunkt jüdischen Lebens”.